chocolate | You Cooked What? Before I start let me just say, YUMMY! 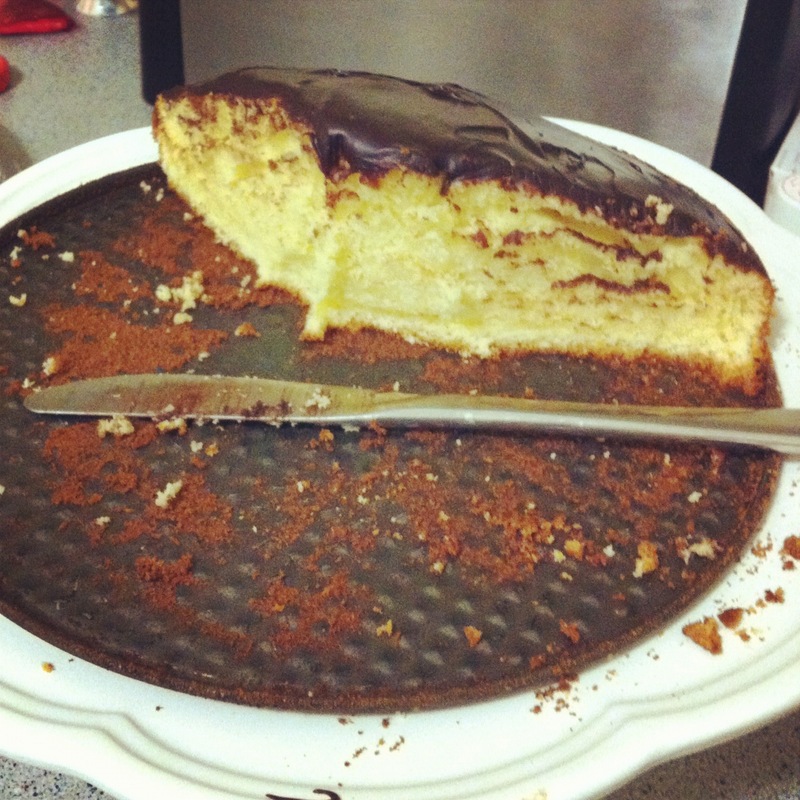 The ganache almost didn’t land up on the cake, I almost ate the whole thing straight out the pot! So… I made a chocolate cake and didnt have any icing sugar. What I did have was cream and chocolate so I made a ganache. All the recipes I found were pretty easy, a basic ganach recipe calls for a 1:1 ratio of chocolate and cream. 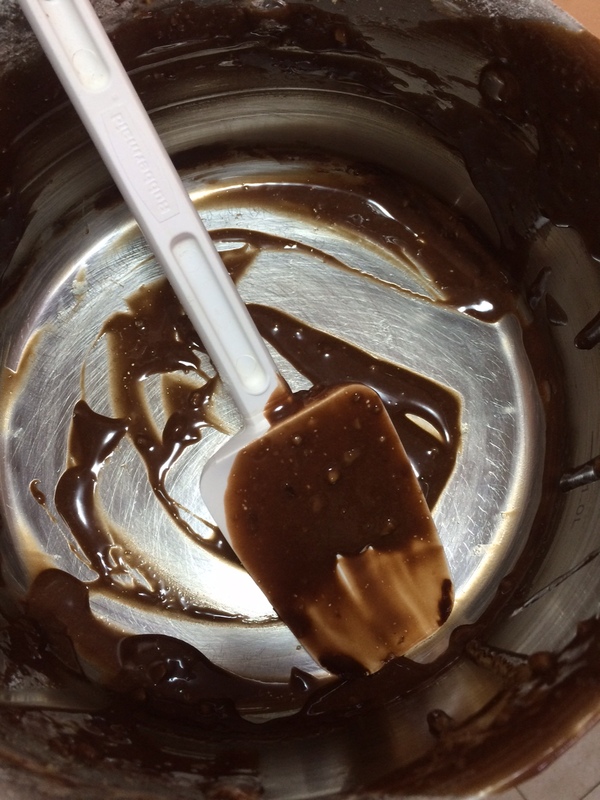 For a more liquid ganache add more cream, for a thicker ganache add more chocolate. Heat the cream until it is steaming but not boiling. While the cream is heating, chop the chocolate into small pieces, the smaller the easier and quicker it is to melt. Remove the cream from the heat and add the chocolate. Stir with a wooden spoon until the cream and chocolate are combined. Allow to cool and thicken and then pour over your cake. 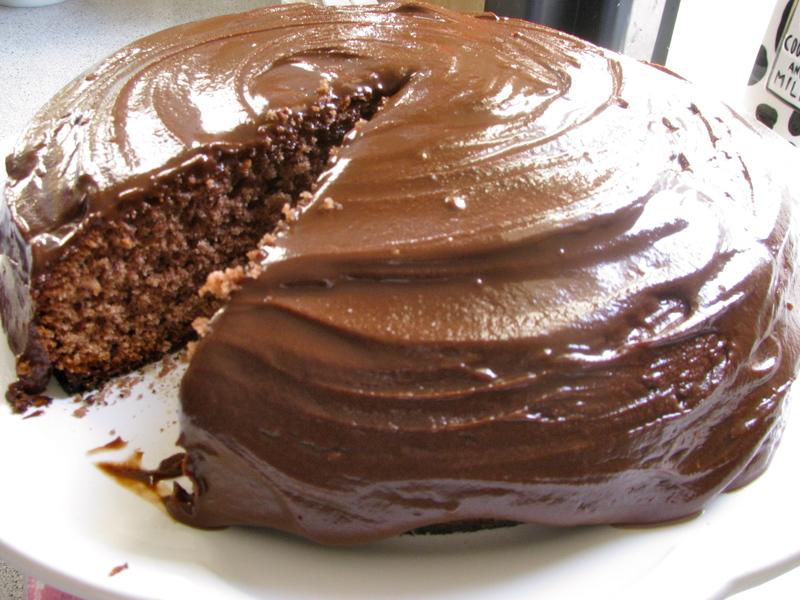 Start at the centre of the cake and allow the ganache to run over the sides. I placed my cake in the fridge so the ganache set a bit. 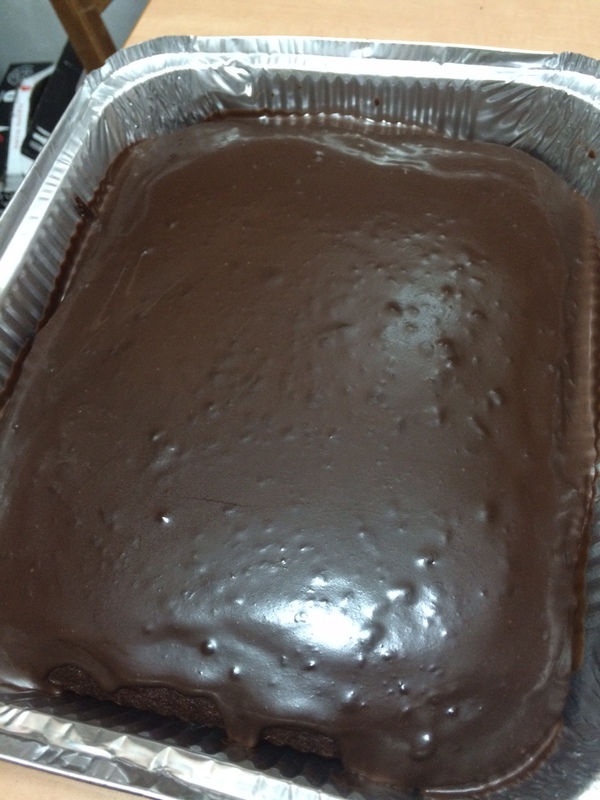 Apparently, if you have patience, you can let the ganache cool and then you can whip it and then spread it on the cake. Also, if you want to make chocolate truffles, increase the amount of chocolate to cream ratio, allow the mixture to cool and thicken and then roll into balls and coat in cocoa. This is the second time I have made this cake and it is phenomonawesome! Add cocoa and baking powder and salt, mix. Add half a cup of water, mix. Add 1 cup flour, mix. Add half a cup water, mix. Add remaining water and flour and mix well. Add in the choc chips and combine gently. Pour into a greased large springform tin. Bake for 30 – 40 minutes. 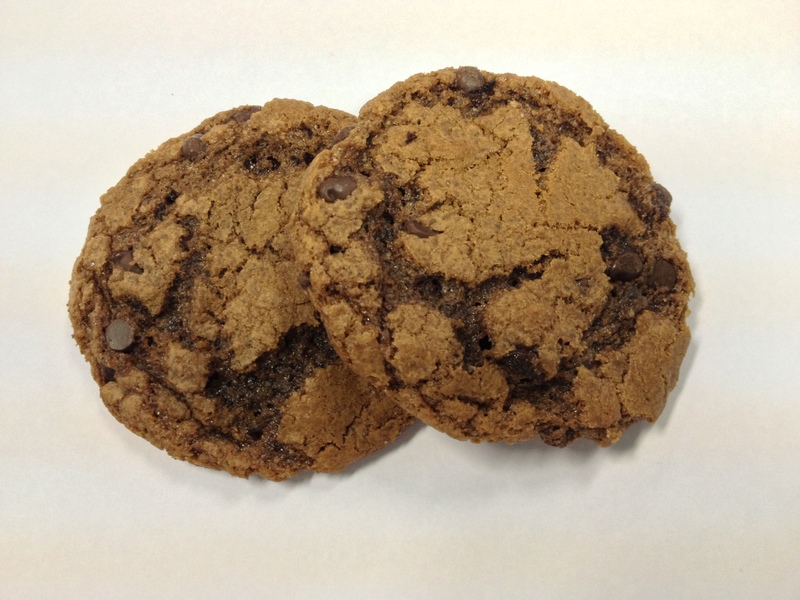 The longer you bake the less gooey the middle will be. Peanut Butter, Nutella, Choc Chip, Fudge! Ok, once you have stopped drooling over the title of this post, take a look at the recipe below! I found the original over here. Using a hand beater (or stand mixer) combine the egg, Nutella, peanut butter, brown sugar, vanilla and beat to cream ingredients for about 5 minutes. Add the flour, baking soda and salt. 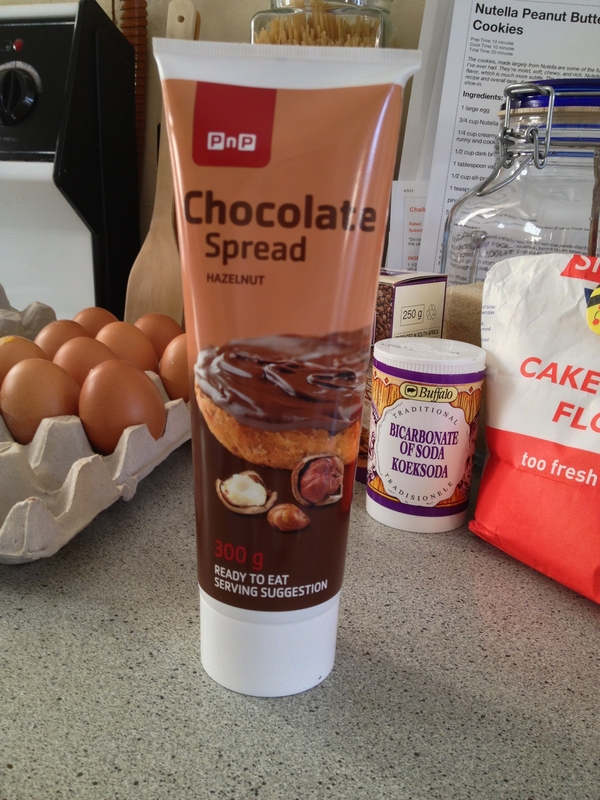 Add the chocolate chips and using a wooden spoon mic until just combined. Scoop out batter roughly the diameter of a R5 coin and using your hands squeeze into balls. They will be very oily! Place on a sprayed baking tray. About 5cm apart or about 6/8 balls per tray. Place your trays in the fridge for no less than 2 hours. Once chilled, set you oven to 180°C and bake each tray for 10 minutes. Enjoy with a cup of coffee or a glass of cold milk! 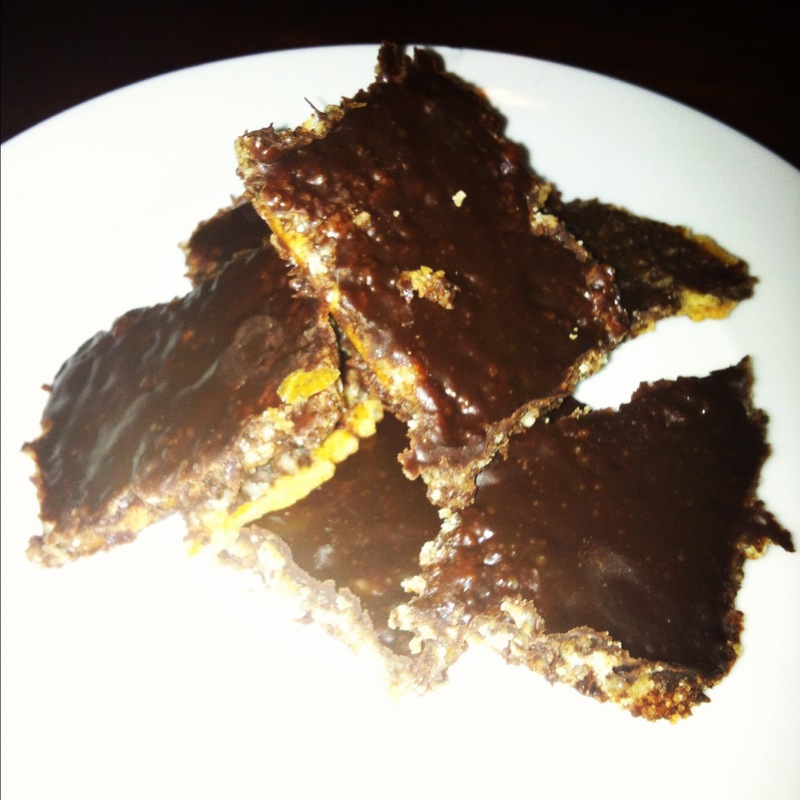 Chocolate toffee biscuit. Oh my! I found a recipe on Pinterest and decided to try it out tonight. Line the baking tray with foil and spray/grease the foil. 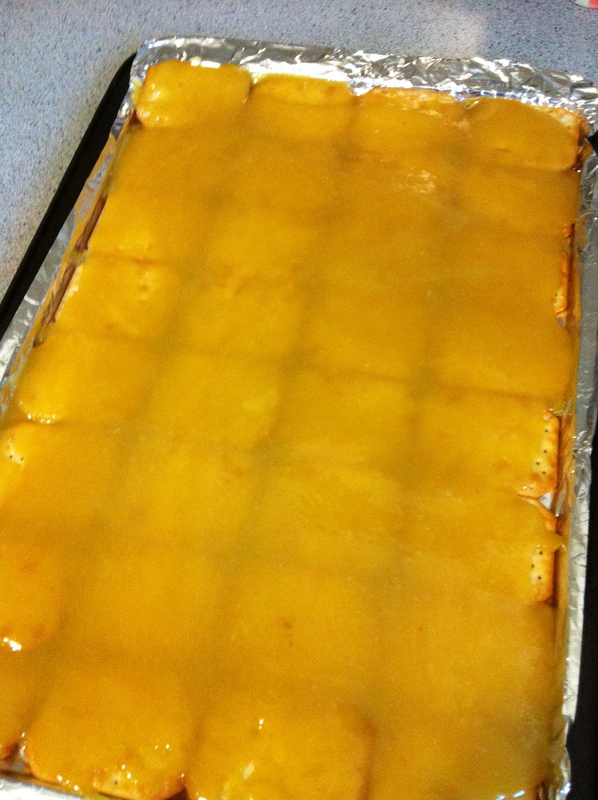 Place crackers over the foil in a single layer. Melt butter and sugar and bring to a boil. Turn down the heat and allow the mixture to simmer and thicken. Keep stirring the whole time so it doesnt burn. 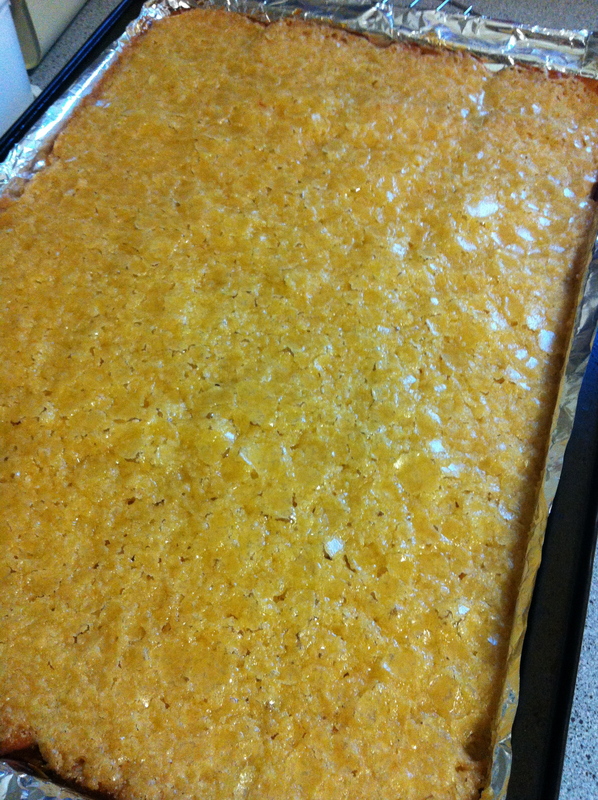 Pour the mixture over the crackers and bake for 10 min. Peal the foil of and break into pieces. P.s. Try not to go into a sugar coma! I have never ever made a proper ‘from scratch’ sponge cake but I decided that for mothers day that is what I would be making. I scoured the web and found this recipe from the Clover site. I adapted it ever so slightly. 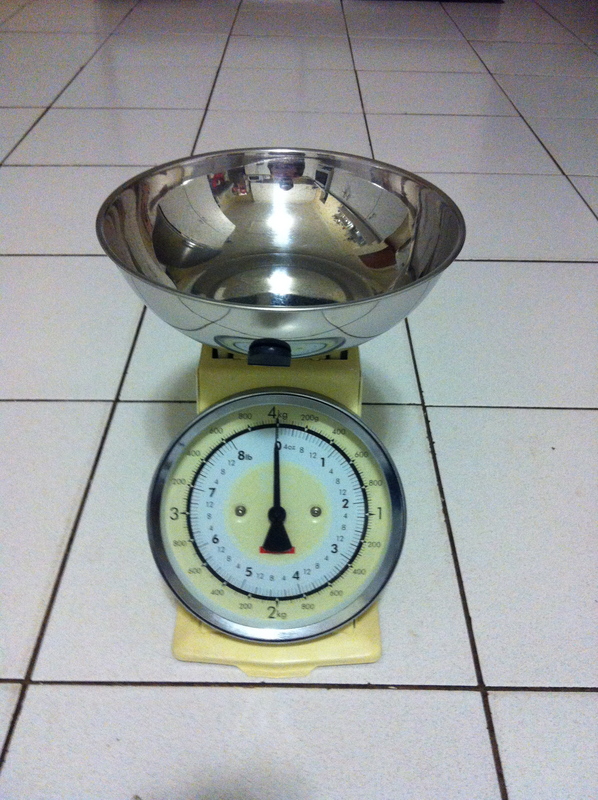 Note: I measured everything out precisely using my kitchen scale, something I have never really done before. It must have worked because the cake was delicious! Beat eggs and caster sugar together (I used a hand held electric beater for about 3 minutes). Sift flour and baking powder and fold into egg mixture. On the stove, melt the marge in the milk on a medium heat, do not let the mixture boil. Add the vanilla essence to the flour and egg mixture and mix well. 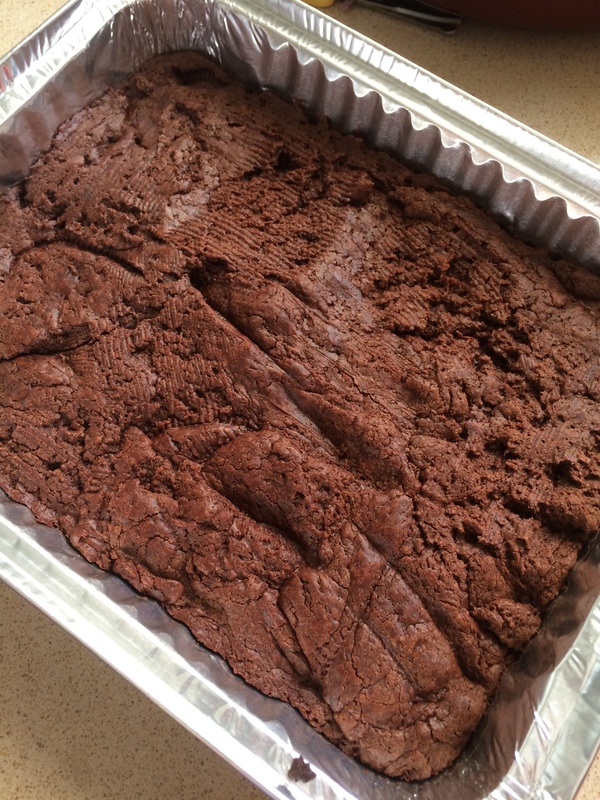 Pour the mixture into a pre-greased springform tin and bake for 30 minutes. This was the only photo I had, it was gone before I could get a photo of the whole cake! I covered my cake in a Pick n Pay Finest chocolate ganache. Let me stop here and just say O.M.G! You have to get your hands on this stuff, its divine! 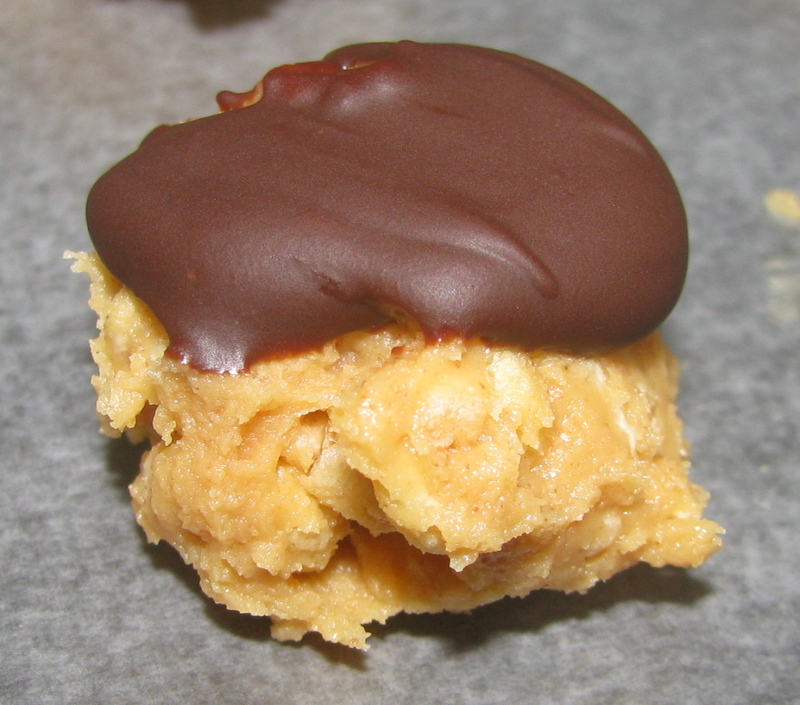 I have a weakness for the chocolate covered peanut butter balls from Moo-z Bros. I also have no money at the moment because UIF are pusswanks! I googled recipes and found this one on the Rice Krispies site. Of course I didnt really stick to it 100% but I think they came out pretty well. Beat peanut butter, marge and sugar with an electric beater until well mixed. I used a fork and elbow grease as I didnt want to wake the kids up, next time I will use an electric beater! Add rice krispies, mixing well. At this point I want to say that I would have crushed the rice krispies a bit before adding them in but I think if you use the electric beaters it might just crush them for you as you mix, I will definitely try this next time. Taking a teaspoon scoop up a small dollop of the mixture and shape into a ball, they then say to place the ball into the paper cup, I just plopped them onto the wax paper baking trays. 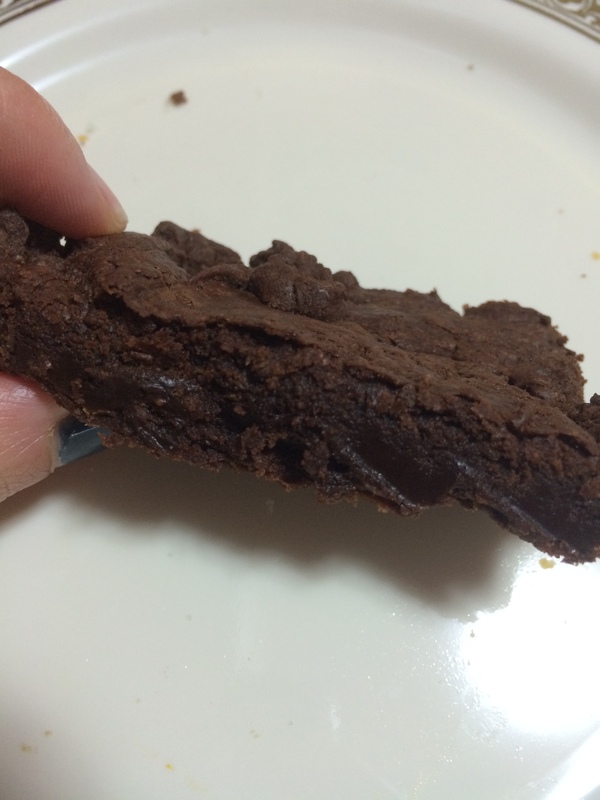 Melt chocolate and shortening in microwave or on double boiler. Spoon one teaspoon of chocolate mixture over each ball. 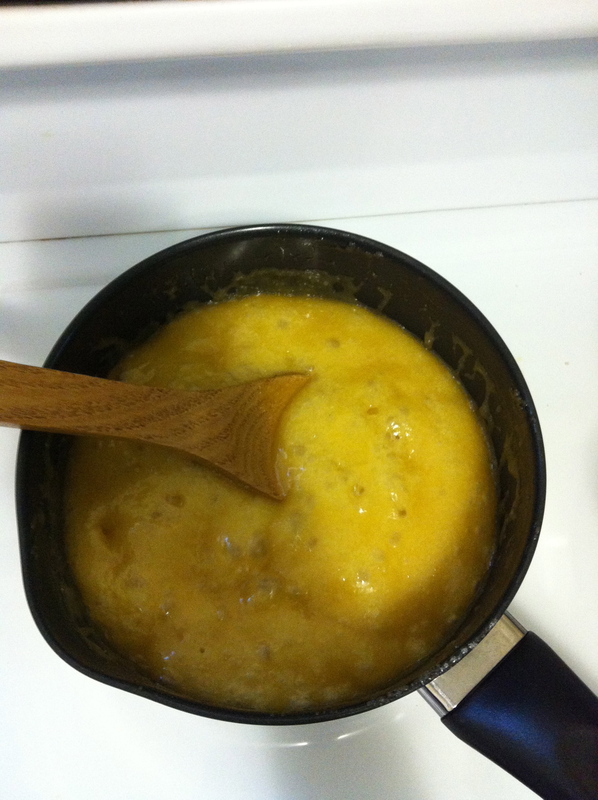 My mixture was a bit thick, perhaps with shortening it would have been thinner, and it didnt pour very easily. Also, if you dont use the paper cups I would suggest dipping the balls into the chocolate to coat them (which I didnt do). All in all they came out quite well. I cant stop stuffing my face! I would definitely prefer the krispies to be a little finer and less ‘lumpy’ in the mixture and I will either use the paper cups or dip the whole ball into chocolate next time. I will also be getting some Holsum as I think the texture will be better for the chocolate. Aaron has been asking to make a cake the whole week so I looked into the cupboard and found that I didnt have my trusty Moirscake mix, I did have flour, baking powder, eggs, vanilla and milk so I figured I would try making a cake from scratch. Aaron wanted a chocolate cake so I found some cocoa powder too. I found a recipe for a chocolate butter sponge in an old International Goodwill Cookbook (7th edition). I made a few small adjustments but it turned out really well. Beat eggs, add sugar gradually, add vanilla and beat with a hand held beater for 3 minutes. Sift dry ingredients 4 times (at this point I have to ask whose socks the creator of this recipe was smoking, I sifted the flour once, straight into the wet ingredients, that was it! 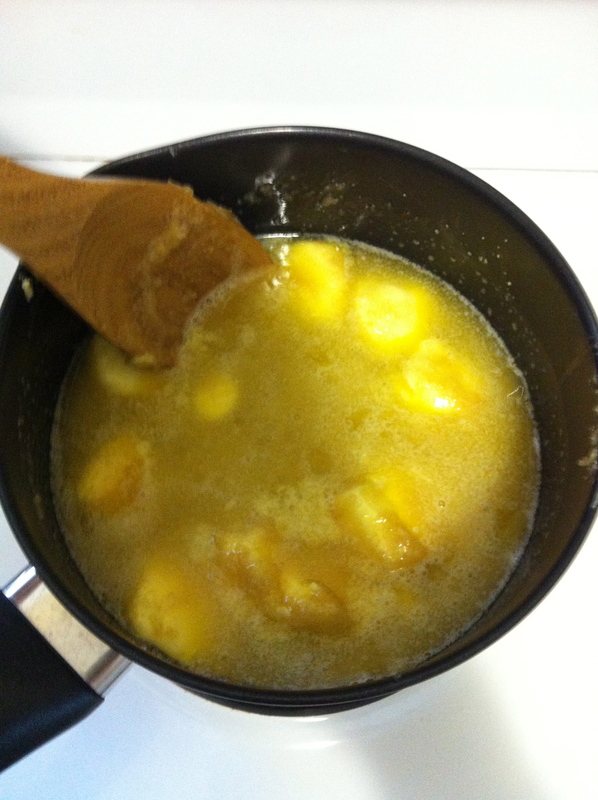 ), and stir into egg mixture, blending thoroughly. Bring milk and butter to the boil and add to mixture. Mix well with an electric beater. 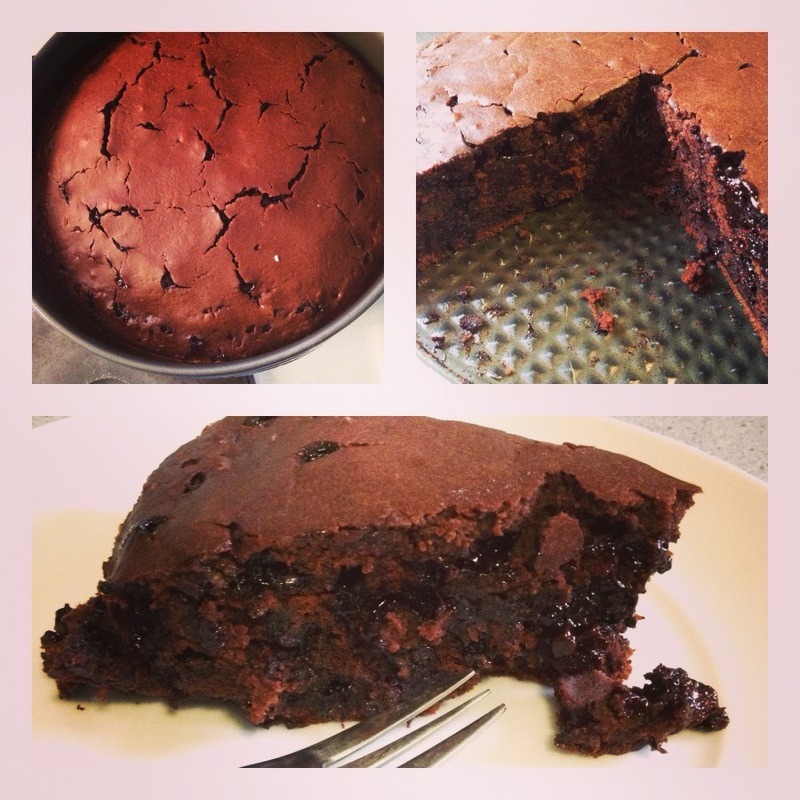 Pour into 1 large or two small tins and bake at 180°C for 40min (large tin) or 25min (small tins). For the icing I decided to make a ganache. Mainly because I had some bitter sweet chocolate from Pesach and I wanted a really chocolaty icing. Unfortunately I didnt have any cream so I used margarine (purist dont hate me, I know its not even BUTTER!!!) instead. 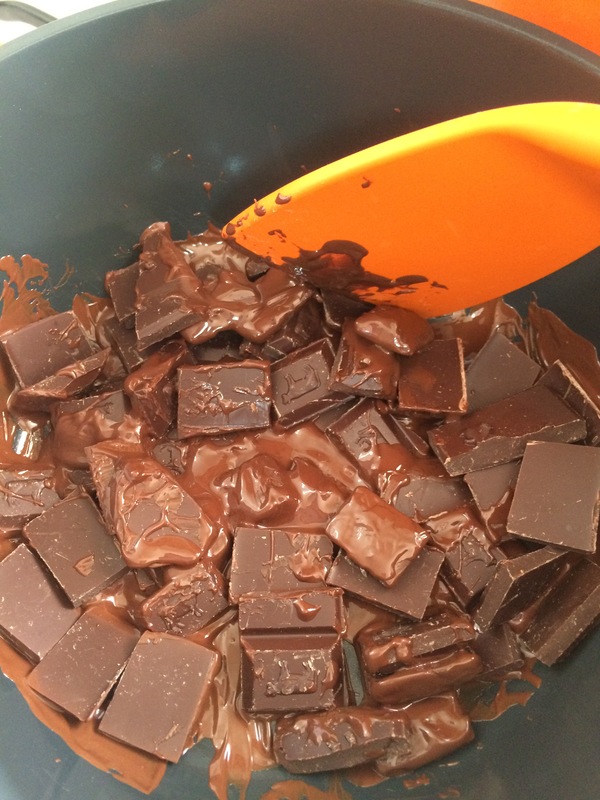 Break chocolate into pieces and place in a microwavable bowl. Place bowl in microwave for about 1min depending on microwave strength. Mix the icing until the chocolate is melted into the marge. You may need to nuke it a bit longer. Once the icing is melted add a bit of icing sugar and mix. Keep adding icing sugar until you reach the thickness you want. This icing will also thicken/harden as it cools, so you may want to leave it to cool down before adding any icing sugar. 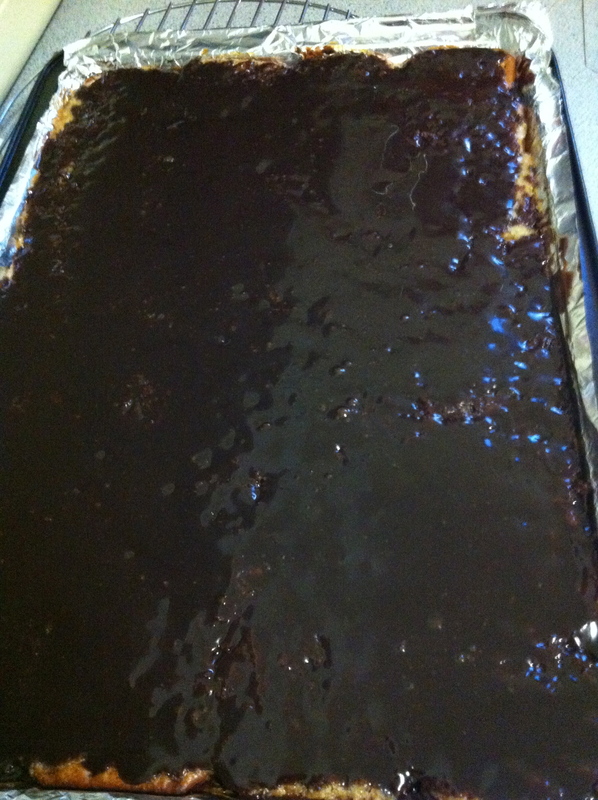 Once its ready layer it onto the cake, starting in the middle and spreading it towards the sides. It may drip over the sides or you may need to spread it depending on thickness.